Scott has more than 29 years of experience providing tax consulting services to a wide range of energy, high tech, manufacturing, distribution, and retail clients. 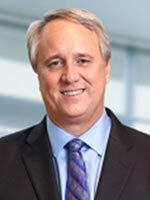 He is the U.S. representative on the Tax Advisory Committee for BDO International. He a practice leader for the Southwest PE Group and is on the National PE Industry and Transactional Advisory service groups. He is actively involved in structuring and due diligence work for portfolio company acquisitions for strategic buyers and PE Funds. He is also actively involved in assisting US companies with their offshore operations by developing structures and planning ideas to reduce the worldwide effective tax rate. BDO is a U.S. professional services firm providing assurance, tax, financial advisory and consulting services to a wide range of publicly traded and privately held companies. For more than 100 years, BDO has provided quality service through the active involvement of experienced and committed professionals. The firm serves clients through 58 offices and more than 400 independent alliance firm locations nationwide. As an independent Member Firm of BDO International Limited, BDO serves multi-national clients through a global network of 1,328 offices in 151 countries.